I’m in the middle of revision of a book, and I’m swimming in the water I love. What I adore about revision is this: I know the world. I invented it, after all! When I open the document, I’m right in the middle of something I understand. It’s much easier, for me, to drop in for hours and rest on the page. It’s also easier to come out of, to shake off. First drafts remain torture for me. Many writers love first drafts, and I can admit that sometimes, the writing of new words is glorious. You surprise yourself with a turn of phrase that you’re pretty sure is genius and has probably never been said before. The plot bends and a tree you wrote about comes to life and points a branched finger in a direction you never saw coming. Inspiration flows, hot and heavy. But maybe I’m just more of a down-to-earth gal. I love falling in love, but I love remaining in love more. Give me a passionate kiss before you take the trash out—that’s happiness to me. I like the comfort of What I Know. I like to tuck my feet under the thighs of my manuscript as we cuddle on the couch. I love knowing my manuscript likes the lights on till sleep-time, even though I prefer to read in the dark. Revision is both comfortable and exciting, like a sturdy marriage. Oh, I love the word sturdy. It’s prosaic, but it’s so me. My legs are sturdy. My emotions are, too. I love my books to be sturdy enough to lean on. And lean on them, I fall into them, really. Revisions are getting in the bed you made out of words and pulling up the covers. Then you roll around, making those words better, cleaner, more focused. Revision is when the REALLY big ideas show up. Then you have to move parts around, like those flat puzzle toys you slid pieces around on to make a picture, to make those new ideas fit. You might have to pry out some pieces and manufacture new ones. But then you click one piece left, and another one right, and suddenly, you’re looking at it. The whole picture. Your book. Note from Marlene: I love Rachael’s enthusiasm about revision. If you dread revising, here’s a positive way to look at it: It’s an opportunity to look at your writing with new eyes; a prospect to improve your writing; to be sure your writing is clear, concise; to make sure you are saying what you really want to say. Best wishes with your revision projects. 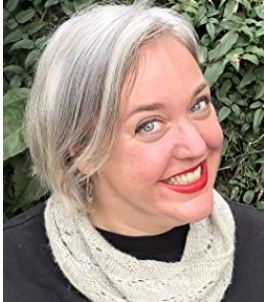 Rachael Herron is the internationally bestselling author of more than two dozen books, including thriller (under R.H. Herron), mainstream fiction, feminist romance, memoir, and nonfiction about writing. She received her MFA in writing from Mills College, Oakland, and she teaches writing extension workshops at both UC Berkeley and Stanford. She is a proud member of the NaNoWriMo Writer’s Board. Reviews for Rachael Herron’s books on The Write Spot Blog. Type “Rachael Herron” search box for reviews about her books.